Want to buy and sell foreclosure properties? 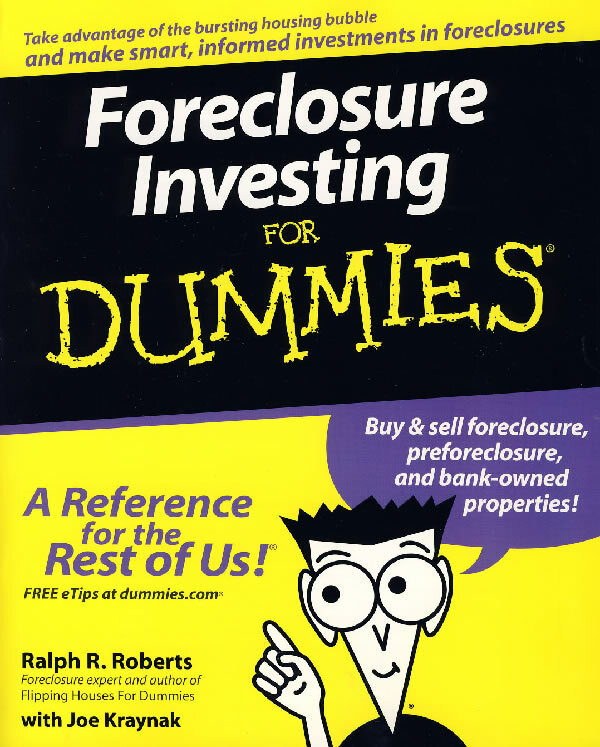 This hands-on guide covers all aspects of investing in foreclosures, from identifying potential properties and assessing value to carefully researching and inspecting properties, so you don't get stuck holding a money pit . . . or even worse, a worthless piece of paper! Discover how to deal with homeowners in preforeclosure, bid for a property, buy bank-owned properties at well below market value ― and ultimately sell for maximum profit.